Our mission in Junction City is to enrich the quality of life for all of our citizens. Build an attractive, inviting, and secure community. Work in partnership with our residents to foster community pride, spirit and promote citizenship. Develop a vibrant, diversified and prosperous economy. Plan for the future, preserve and celebrate our heritage, and exemplify sustainability and enhance the natural beauty of our environment. We will provide minimum standards of conduct for all City employees, elected officials, members of boards and commissions, and volunteers. Our pledge is a statement of our shared values – integrity, impartiality, independence, transparency. 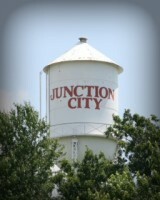 It is our pledge to the people of Junction City that our only allegiance is to them when we conduct City business. Our pledge provides assurance that if the people’s trust is questioned or broken, there is a fair process to determine what happened and whether sanctions should be imposed.